In honor of the National Recognition Day for Zahal Disabled Veterans and Victims of Terror, the IDF’s Chief of Staff Lieutenant General Gadi Eizenkot, together with Commander of Manpower Directorate General Hagai Tupolianski and Colonel Yaffa Moore, Head of the IDF’s Casualties Division, visited Tel Aviv’s Beit Halochem. The Chief of Staff was briefed by ZDVO Chairman Haim Bar on the vast wide of activities as well as the many new initiatives of the ZDVO’s Friends in Israel headed by Gen. (Res.) Eliyezer Shkedy. The Folk Troupe “Hora Galgalim” performed a few wheelchair dances and the Chief of Staff watched a wheelchair basketball game. He also visited the Physiotherapy Centre where he saw treatments being administered first hand and visited the Fitness Hall. Chairman of Friends of ZDVO in Israel, Gen. (Res.) Eliyezer Shkedy presented the Chief of Staff with the “Together Strong” dog tags and a photo album with moving photographs. Gen. (Res.) Shkedy briefed Lt. Gen. Eizenkot on the important work the Israeli Friends Organization was carrying out, creating awareness in Israel and initiating various rehabilitation programs and activities for the benefit of the ZDVO members with the help of the Israeli public and society. The Chief of Staff was also given a copy of the documentary film showing the epic journey taken by 20 severely disabled veterans to India. Lt. Gen. Eizenkot met with several members of the ZDVO. Amongst them was Ohad Ben Yshai, a combatant in the “Egoz” Infantry unit, critically wounded in last year’s “Operation Protective Edge”. 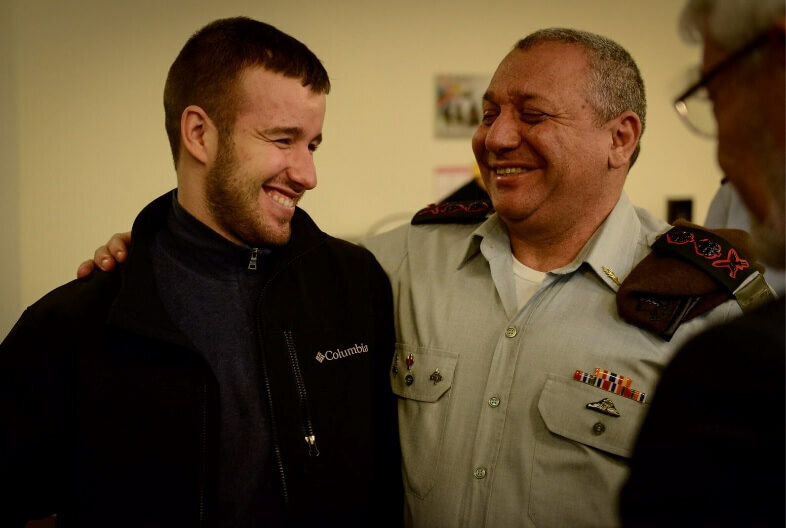 Eizenkot said after the visit: “It’s a great privilege to meet them. I encountered some of them right after their injury and one’s heart fills with pride seeing you now as you struggle and overcome despite the great difficulty”.